I'm super excited to be starting a new year in a new grade level. I know what your thinking .... it's still summer!! Yes, yes I know it is and I'm enjoying it but I do have Second Grade on the brain and it's exciting to plan a little at a time. The most exciting thing about this new school year is that I am getting two things I've wanted for a LONG time. I'm getting a document camera and some iPads ... HOLLA! Am I lucky or what? 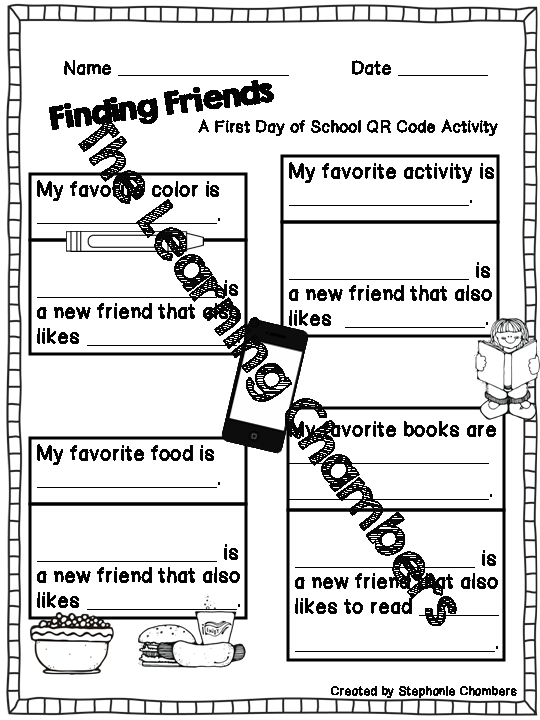 I set this up to be an icebreaker for the first day of school kinda like a getting to know you activity. 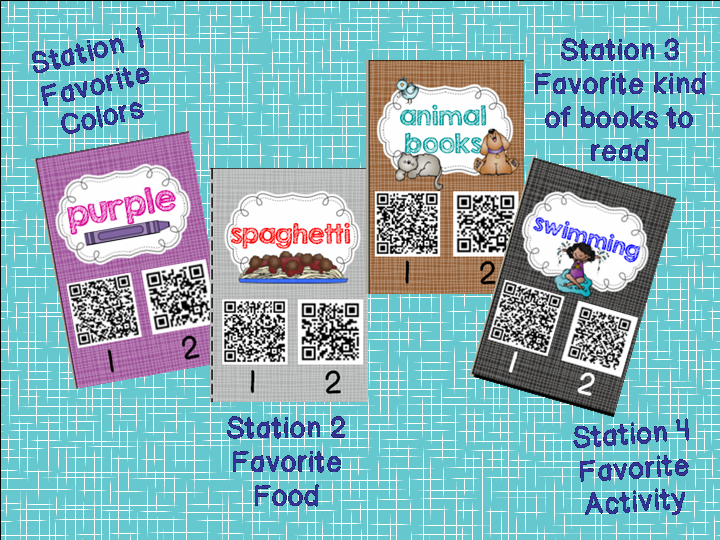 The kids will read the QR code prompts that will send them to 4 different stations. During their hunt, they will be prompted to find a new "friend" at each station and write down their name. 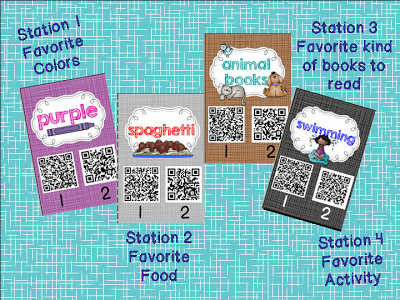 The four stations are favorite color, favorite food, favorite type of books to read, and favorite activity. Here are some examples of each. 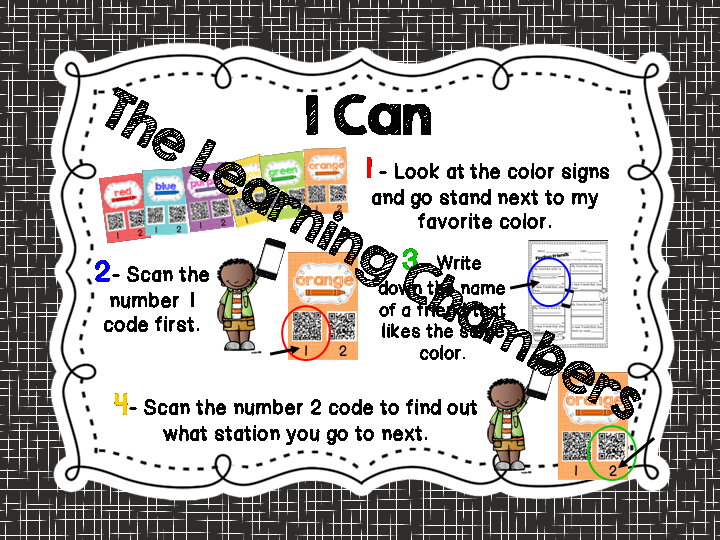 My favorite thing about this QR code activity is that I included an "I Can" poster, perfect for those visual kiddos. And of course you need a good recording sheet to go with the activity. 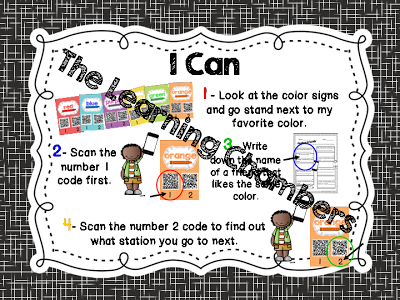 I'm super excited to make some more QR code activities. This one was so much fun to make! 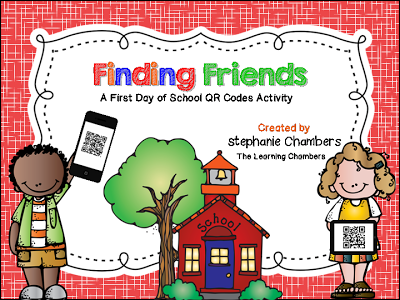 I am so excited that I would like to giveaway two of my "Finding Friends" QR code activity. Just use the Rafflecopter below to enter. I do have a document camera in my classroom. I use it with a projector to model writing, show them how to do a new math center, and also call kids up and let them show the class something. I also use my iPad and laptop with the projector all the time, so the doc cam isn't the only one in the spotlight! 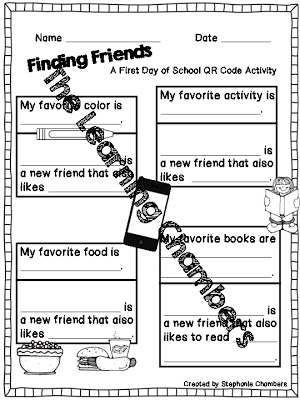 I used QR codes for the first time this week and my kids loved it. They were so motivated to do the work so they could use the QR reader and check it. Document cameras are great for doing many things like, sharing small items, observation in Science, filling in worksheets and modeling how to write things, looking at books as a class, using manipulatives, to state a few. Have fun with your new class and the technology. I have a doc camera and I love it. I usually it especially for math.